The first time I heard about podcasts, it was 2005 and I was in grad school and had to write a paper about the newly developed broadcast medium. The first podcast I actually listened to was The Ricky Gervais Show, which I downloaded (because what was a podcast app?) and listened to on a CD in my car for years and years. If you’ve never heard or seen The Ricky Gervais Show - it was adapted to an animated series after the huge success of the podcast - dig around on the internet and find it. You’ll thank me later. Fast forward a lot of years and a lot of listening and I think I’ve finally found my podcast niche. I’ve always preferred music to talk on the radio and that translated to my digital and streaming preferences, as well; however, the last few years, my commute time has increased and I’ve found that I want to use that otherwise wasted time to learn stuff. I feel very old and mature. The Allusionist with Helen Zaltzman. This is a podcast about language (stick with me) and the host is a delightful, linguistically-savvy Brit. She introduces and explores topics such as eponyms (there’s an annual episode each year and they’re one of my favorites) (related: listen to the episode about Trump… the verb), the origin of languages, semantics, language disorders, etymology, accents, technobabble, the language of math and science, and so much more. The episodes are quickly digestible in length (usually around 20 minutes) and include a word of the day - see if you can use it in an email. One of my favorite recent episodes is Ear Hustling, a rundown of the unofficial dictionary of San Quentin State Prison. Do you know what zoom zooms and wham whams are? Find out. Criminal with Phoebe Judge. Criminal is, you guessed it, a crime podcast, but it’s not all murder and gore here (I have other podcasts for that… true crime is my other podcast niche). This podcast takes a very thoughtful look at crime in general and presents to the listener a myriad of criminal situations: the abduction of a 1950s poodle named Masterpiece, the quiet persecution of lesbians in WWII, the streaker who has been banned from major sporting events around the globe, a mother-daughter coroner team, and the history of séances, to name a few. You’ll still get your fix of murder and cold cases, don’t worry. If you’ve watched The Staircase on Netflix, start at the beginning with Animal Instincts. Getting Curious with Jonathan Van Ness. Have you watched Netflix’s rebooted Queer Eye? If not, carve out a day and do it, then report back. I’ll wait. Okay, by now you’ll want to be BFFs with The Fab Five’s grooming guru Jonathan Van Ness. It’s understandable. He’s hilarious, smart, and thoughtful, all of which translates into his podcast. Going strong on its third year, this educational podcast pairs JVN with an expert in various fields and the two talk over whatever subject has captured Jonathan’s curiosity that week. If you’re coming to him from Queer Eye, catch the origin story episodes of his fellow castmates (Bobby Berk, Tan France, Karamo Brown, and Antoni Porowski); if you’re ready to jump into current topics, take your pick of traumatic family separation, ethics, and the opioid crisis. Bonus! 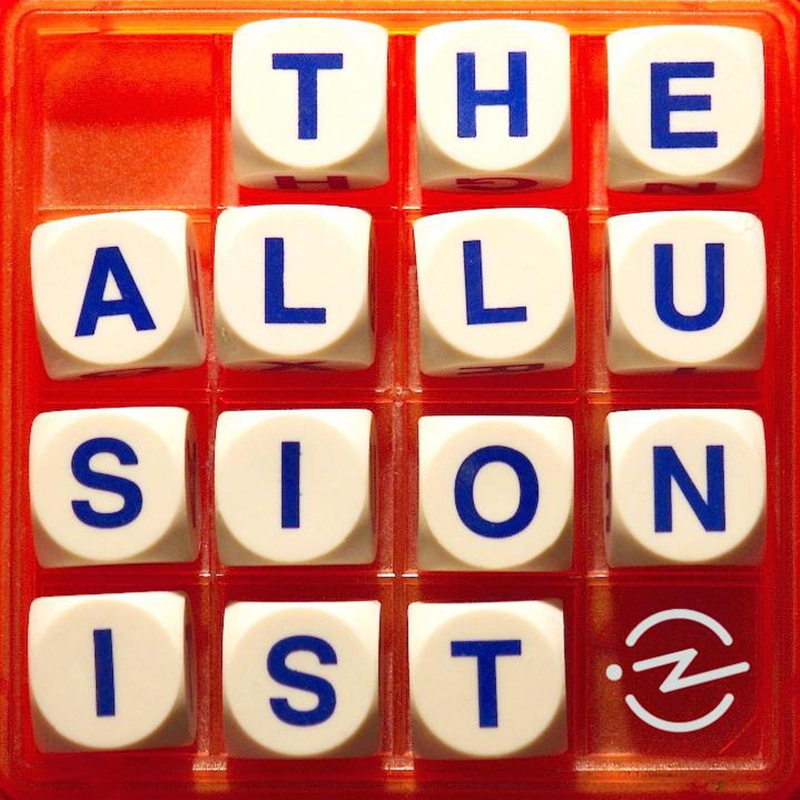 There’s an episode with Helen Zaltzman of The Allusionist. I hope you’ll check one or more of these out if you find yourself yearning for some learning. Posted on August 5, 2018 by Megan Charters and tagged podcasts podcasting.